Everyone wants to make a mint in the App Store. But while some developers slave away in coding dens on original ideas, others see a get-rich-quick shortcut through copying. The result is an App Store littered with clones, frustrated devs, and Apple stuck playing a never-ending game of whack-a-mole to police the rip-off apps. 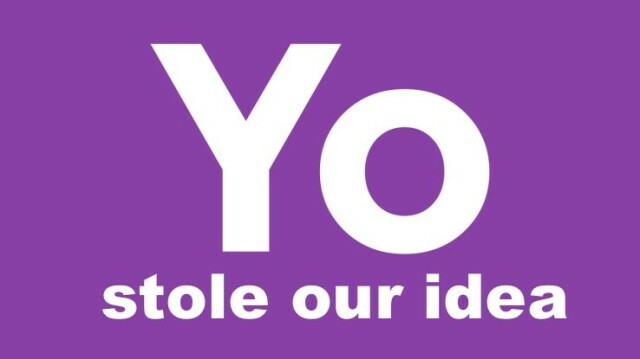 Recently the developers of micro-messaging service Yo — this year’s most unlikely App Store success story — were shocked to discover that another eerily-similar app called Yolo was hoovering up its potential downloads. “I noticed a clone that was an exact replica, including the exact same UI, same App Store screenshots, and same App Store description copied word-for-word,” Yo creator Or Arbel tells Cult of Mac. He complained to Apple, although to date the clone app is still very much available to download. Yo’s story is far from unique, too. Earlier this year, an analysis of the almost-300 new iOS games which went live in the iTunes App Store over a 24 period showed that nearly one-third were clones of the-then iOS phenomenon Flappy Bird. Under any circumstances, this would have been bad news. The App Store already suffers from poor signal-to-noise ratio (something Apple is trying to amend through the use of human curation in the form of Editor’s Picks), and this hardly made things better. Despite its well-earned reputation for governing the App Store with an iron fist, Apple’s efforts to keep out copycats didn’t appear to be working. “Clones can be a bad thing for users mainly because a clone doesn’t provide the quality of the original game,” says Denis Mikan, one of the two developer brothers behind Blek, an original puzzle game prized with a Design Award from Apple at this year’s WWDC. Like Hollywood movies, some games are simply critic-proof, whereby a bad review is unlikely to have a noticeable effect in the wake of a marketing budget with all the blunt force of a Mack Truck. With indie titles it’s different. A game like Blek spread through pure word-of-mouth, with positive comments from players doing the kind of advertising the Mikan brothers could never dream of affording through other means. Apple has spent countless hours courting developers to create games for the iOS platform — particularly when these are the kind of indie premium games the company chose to honor at WWDC. It’s done a great job of promoting iOS as a platform for creators, and has taken pains to highlight original games and other apps worthy of a wider audience. However a well-placed (or badly-placed) clone can counter much of that momentum, robbing developers of income that’s harder than ever to obtain in a jam-packed App Store. “If a game gets cloned early, it can have a major impact on the revenue,” Mikan says. Sometimes the damage a cloned app does isn’t purely financial, but also hits hard at developers working to deliver an original experience. For instance, the angling sim Ridiculous Fishing — Apple’s pick for 2013 iPhone Game Of The Year for 2013 — almost didn’t get made because a ripoff beat it to market and “sucked away the team’s motivation” in the process. 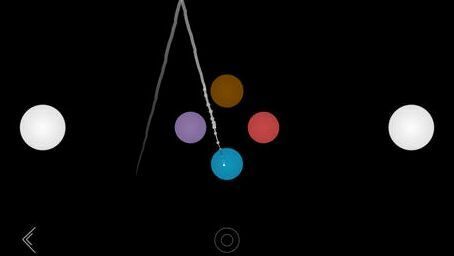 Cloned Blek took one of the most unique iOS puzzle games in ages and, well, made it less unique. One challenging point to navigate is the point at which an app stops being “inspired by” a fellow developer’s product, and strays over into ripoff territory. In a world with limited ideas all apps are, of course, inspired by someone. June’s top iPhone game Geometry Dash, for example, borrowed from recent titles like The Impossible Game, BIT.TRIP RUN! and Super Meat Boy. Blek, meanwhile, grew out of an attempt to port the classic game Snake over to a touchscreen iOS device (admittedly it wound up going in a very different direction.) To Mikan, however, the line between a game that borrows inspiration and steals an idea is a clear one. “A clone is just a quickly made, bad copy,” he says, not mincing his words. For Yolo’s part, its creator claims that the app (which allows users to send times) is really “more of a game and competition,” and the only similarity with Yo is its (near-identical) interface. “[Yolo] was always meant to be a parody of Yo and that is why we deliberately kept the UI very similar,” says CEO and co-founder Betty Xi. Another problem for indie developers is the lack of funds required to throw their weight around. While a major developer like King.com can send out threatening letters to any developer who dares use the name “Candy’ in their app (despite the fact that this would be unlikely to stand up in court), oftentimes indie developers lack the money or resources needed to fight back. “Enforcement of copyright and trademarks by those that don’t have the means to hire expensive lawyers [can be a real challenge],” says Amir Rajan, one of the coders behind unlikely App Store success A Dark Room. Other developers I spoke with agreed with him. Micro-messaging app Yo is currently facing hordes of ripoff artist trying to steal its simple-but-effective concept. One thing everyone agrees on, though, is that clones are a bane in the life of developers. Although Apple’s guidelines say that they will ban apps that are too similar to ones already in the store, as the Flappy Bird story illustrates, too often apps can slip through the cracks. While Apple is certainly better than Android when it comes to moderating the App Store, this is one area Cupertino could absolutely do with tightening up on further. It’s not enough to eliminate the apps once they arrive; they should be stopped from getting in to begin with. With upwards of 1,101,746 apps to police, it’s not an easy job, but (as they say about police work) someone’s got to do it. Cult of Mac reached out to Apple for this article, but had not heard back at time of publishing. The story will be updated if this changes.